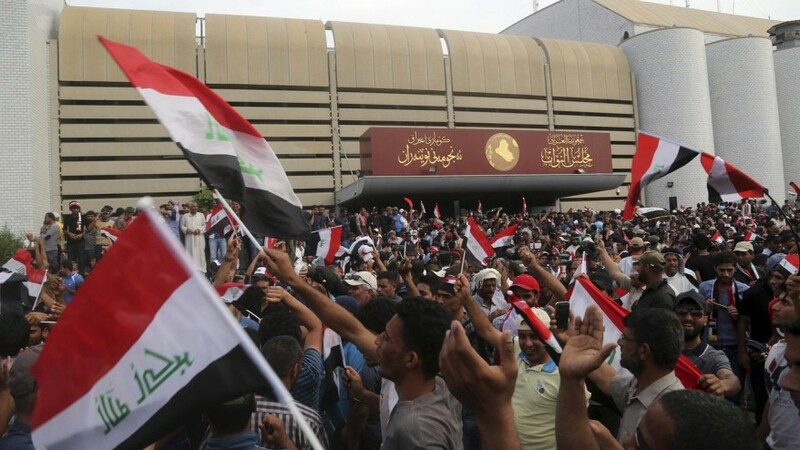 Several days ago, 30 April, frustrated with a lack of reforms and accountability from an increasingly-corrupt government, thousands of Iraqi constituents of Shia cleric Muqtada al-Sadr took to the streets of Baghdad and surrounded the so-called Green Zone. 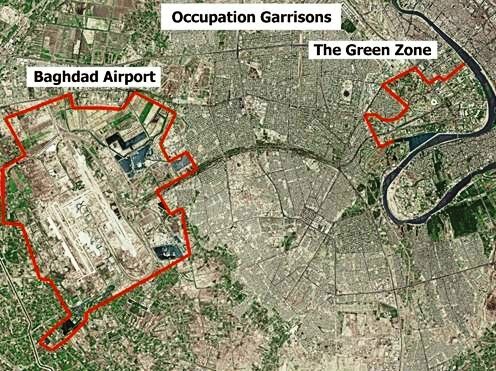 The Green Zone is a fortified part of the capital city that houses the government offices and embassies, and is supposed to be one of the most secure locations in the country. al-Sadr had previously threatened to stage a sit-in at the Green Zone, but as of this writing is not known to have made any overt calls to action to incite what followed. As protesters continued to arrive around the Green Zone, others began scaling the concrete blast walls which had been erected by the Americans during the occupation. Ropes were tied to the tops of the wall segments, which were pulled down by the crowd. Hundreds poured in through the gap as still more arrived in waves. The security forces did little if anything to stop the protesters, in many cases clearly standing aside and watching as people rushed past. The only time any force was used was when protesters attempted to scale the walls of the American embassy, at which point tear gas was deployed. The mob focused its attention on the parliament building, which was being rapidly evacuated of MPs. An unfortunate few were either trapped inside the building or subjected to flying fists and insults from the crowd that smashed its way into the parliament building. As more and more people streamed into the building, many took to ransacking the facility and caused an as-yet undetermined amount of damage. 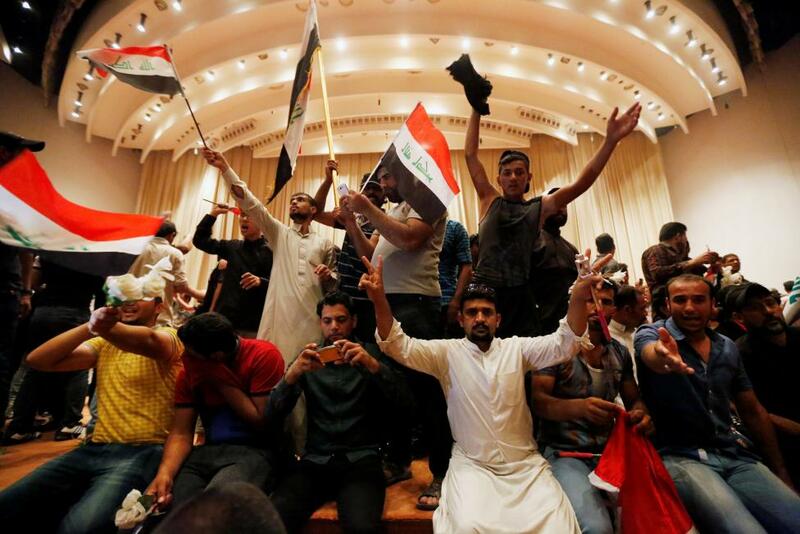 Some government ministers fled to Baghdad International Airport, which was reportedly besieged by protesters to prevent said ministers from fleeing the country, although this has not been verified save for a few news sources. As I mentioned previously, the lack of reform and accountability fed this protest-turned-riot. People are also frustrated with the military’s lack of progress against Daesh, and in particular with the increasingly-sectarian nature of the war. But above all else, corruption is the main complaint of the people, ranging from traffic cops charging extra to get out of tickets to military-sanctioned death squads patrolling the cities at night. Iraq is at an important crossroads, and its future is less sure than ever before. What happens in the next weeks may well determine the outcome of Iraq’s future for generations.